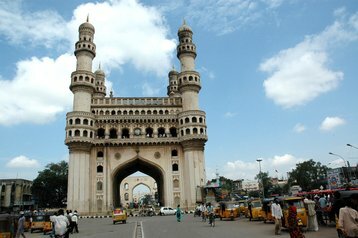 The largest data center in India is to be constructed in Hyderabad, with negotiations to secure a US-based anchor tenant underway, it has been announced. The Telangana state government is planning the construction of the facility to support its strategic aims in the fields of cyber security, data analytics, open data, and in developing the country’s digital networks. The state is hoping to find an anchor tenant in the coming months as it continues negotiations with a number of American companies. The announcement follows preliminary talks to establish a 50-acre data center campus in the city, as reported in DatacenterDynamics. The new data center will enable the government to follow the example of countries that retain data on their citizens within their borders, accoridng to K.T. Rama Rao, Telangana’s Minister for IT. It is expected to serve as a catalyst for investment across several industry sectors. “The centre will require hardware manufacturing like servers. It will also contribute to the sectors of cyber security and data analytics,” Rao said. Hyderabad will also host the state-backed very-large-scale integration (VLSI) design center, to be opened in late 2016. American computer processor manufacturer AMD is partnering with the facility, and the government is currently holding talks with several companies to support its development. The city and surrounding region have seen a spate of projects announced this year, aiming to capitalise on demand in the Indian subcontinent by investing in IT infrastructure and education. Apple announced in May that it was to open a Maps development center in Hyderabad, while in the same month ST Telemedia expanded its operations with investment in Tata Communications’ Indian data center network, which includes one facility in the city. Earlier in June Salesforce revealed plans for a center of excellence and Telangana government IT secretary Jayesh Ranjan said it is considering opening a data center in India. Amazon is also building a software engineering and development hub in Hyderabad.